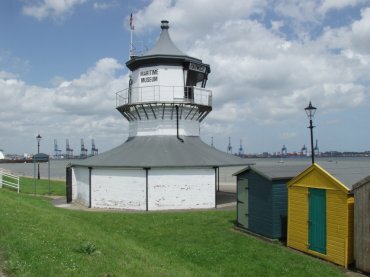 Harwich is not 'pretty' in the normal sense but it is picturesque. 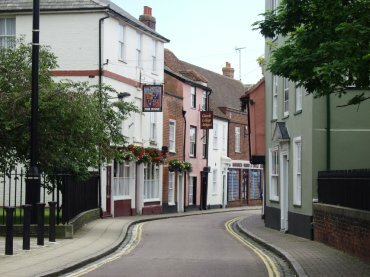 It used to be a bustling major port but most of the international commercial and passenger liner traffic has been moved around the corner to Parkeston Quay transforming Harwich into a quiet town with some quaint narrow backstreets of which this is one. It has plenty of old buildings and a lot of maritime history. 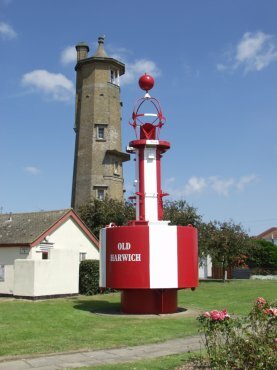 There are two old lighthouses in Harwich which are no longer used but these two, when in use, were used as a pair in a vertical alignment to act as a pair of leading lights. This lighthouse provided the higher of the two lights. The red and white object in the foreground is an old marker buoy now taken out of service. This lighthouse provided the second, lower, of the two leading lights and now houses a Maritime Museum. 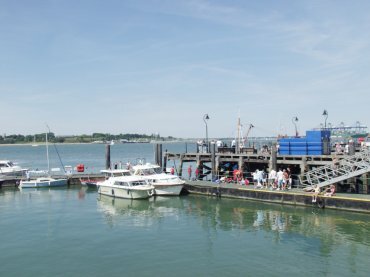 A small part of the old harbour showing the staging where the pedestrian ferry starts which takes passengers across the river to Felixstowe. The Port of Felixstowe from Harwich. 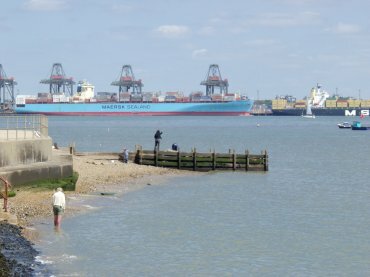 The commercial Port of Felixstowe on the other side of the river seen from Harwich.